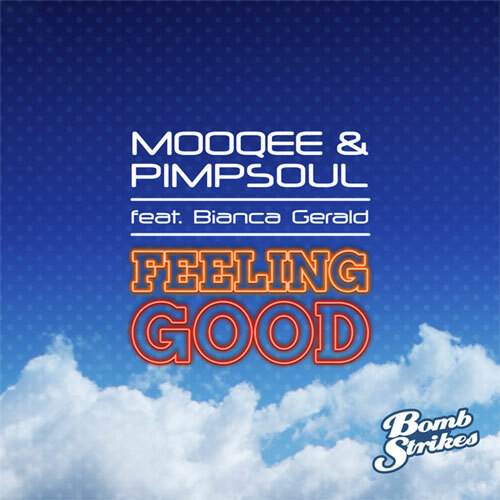 Feeling Good is the second collaboration between two kings of the beats and bassfunk scene; Mooqee & Pimpsoul. Delivered by a label that defined the sound; Bombstrikes. The previous release from the pair was something of an underground smash, holding the top spot on Beatport’s Hip Hop charts for over 150 days consecutive as well as making into the finalists for the influential Beatport Music Awards. Feeling Good looks like taking it further with airtime already from BBC Radio 1 and 1 Xtra, Capital, Kiss and XFM in the UK. Things look set to blow up for the pair. The incredibly talented Bianca Gerald delivers the wonderfully soulful vocals. Remixes come from Tantrum Desire, Rory Lyons, Herbgrinder & Nappy Riddem.